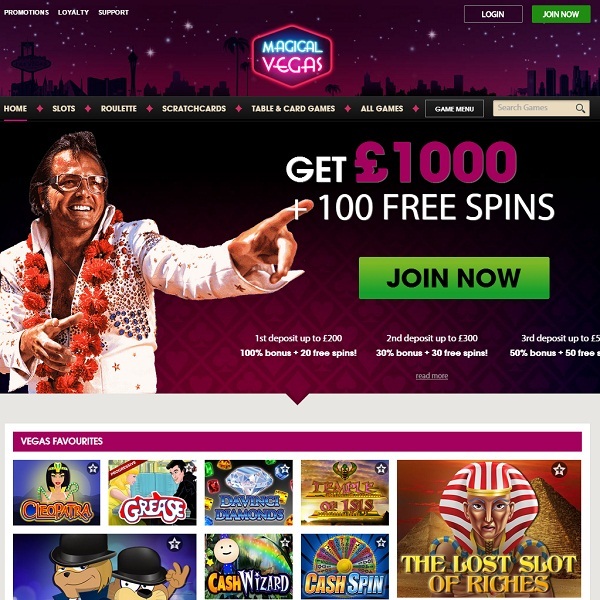 If you’ve always dreamed of going to Vegas but never managed it then the brand new Magical Vegas online casino is a fantastic alternative. The recently launched casino features games from numerous developers and is licensed in Alderney and the UK so players can be sure that it is a safe place to play online. The casino is welcoming new members with 10 free spins just for signing up followed by a £1000 Welcome Package which offers a further 100 free spins. There are numerous other promotions running at the moment, one of which is offering a trip to Las Vegas. The casino offers hundreds of slots, a great selection of card and table games, scratch cards and arcade games and more. Furthermore, it runs on an instant play platform so members simply need to visit the casino website in order to start playing.